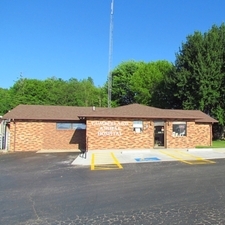 Welcome to Cumberland Animal Hospital of Russell Springs, Kentucky. Cumberland Animal Hospital is a highly recommended, full-service companion animal Veterinary facility. We have been providing comprehensive medical, surgical, and dental care for the Lake Cumberland area since 1982. The mission of our hospital is to provide the quality care that your pet deserves. Our team understands how precious your pets are to you and your family. We are therefore committed to working diligently in providing your pet's healthcare in a compassionate, respectful, clean and safe environment. We have strived to be a respected community leader and will continue to foster lasting relationships with the residents of not only our county, but the surrounding counties as well.